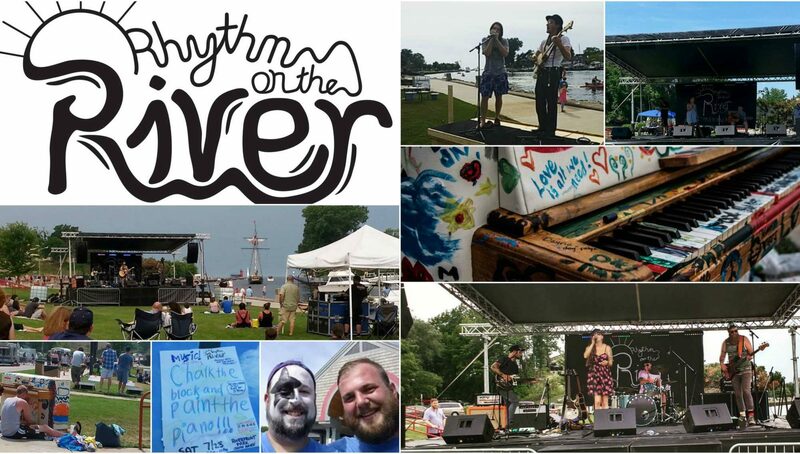 Foundry Hall presents RHYTHM ON THE RIVER 2017 Saturday, July 22rd. Our one day music festival showcasing local and regional musicians and their original work was so much fun (HOT, but fun) and we want to do it again! Thanks again to our sponsors for last year’s support! We are working to put together another lineup of talented musicians playing in a variety of musical styles that will draw many fans in the area, as well as please those lucky visitors in town that weekend. This is a family friendly event, but also sophisticated for music lovers and entertaining for those just lingering over a snack or beer. Click here for information on helping us make it happen again with a donation or by sponsoring the event. Feel free to contact us with any questions or comments. Check out Goose Corp from Chicago. Power trio, clean lyrics, original blues/rock/jam. Has had multiple shows at DoubleDoor, Schubas, Mo’s, Township etc. For a listen, go to youtube, Goose Corp, ‘Roll the Dice’ and ‘Hot Air Balloon’. Worth your time. Thanks for the recommendation…we’ll check them out! Hey Lotte and co., do you have a list of sponsorship levels for the event?